Primary language learning isn't restricted to learning one language. My pupils may learn Spanish, but they are also exposed to other languages in their lessons. Whether it's for interest, comparison, to celebrate the languages spoken by pupils at our school or just for fun, those opportunities are welcome and add to their language learning experience. Youtube recommended the following clip to me and I love it! In 90 seconds, I've learned half a dozen useful phrases in Japanese and am warmed up and ready to boogie with my kids who this weekend have discovered punk!! I just have to share this lovely lovely storytelling clip that was brought to my attention by @mariefrance. It is so cute - what an imagination! 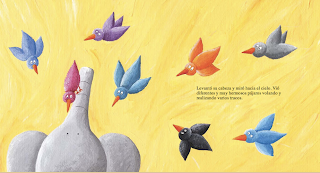 A Storybird as a movie! Following a Twitter conversation this afternoon started by @josepicardo, I remembered that I had taken screen shots of all my Storybirds and made them into Keynote presentations. Whilst I can export them to Powerpoint quite easily if they are just images, I had recorded narration on one of them, and this would not transfer. So, I exported it as a Quicktime movie - and here it is! I'll be making more 'movies' with my other Storybirds soon! In the meantime, you can check out lots of language Storybirds here on a wiki started by @wizenedcrone. 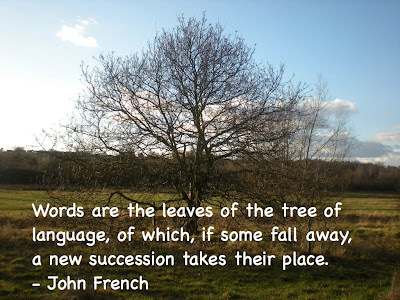 Following on from @dajbelshaw's #movemeon, Isabelle Jones started a hashtag for language teachers - #mfltips about which she has blogged here. I've embedded it below. 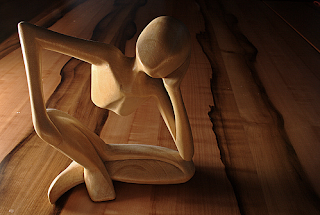 Why not pick a tip every now and again, and try to implement it. 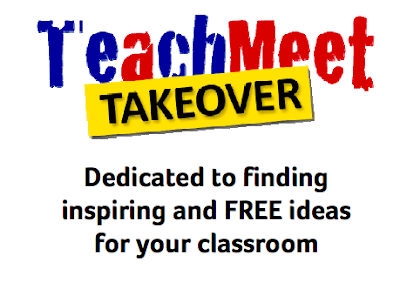 One of my main reasons for excitement about BETT is not the exhibition itself but the Teachmeet that follows after hours! This year will be my third Teachmeet, and I am really looking forward to the experience this time. The first year I was overawed and felt insignificant but inspired to do something to rid myself of that feeling. Last year I was excited but also a little nervous as I wondered if I really did have anything worthwhile to say to this crowd of people about technology. It seems that I did as my seven minutes went down well and were described in rather lovely terms by @digitalmaverick. Such a sweetie! You'll have to wait and see what I say this year but here are last year's words of 'wisdom'. Lisa Stevens (lisibo) @ TeachMeet BETT from Learn4Life on Vimeo. And, whilst I'm unable to join in either event (due to the third reason why I'm excited about BETT) there are free events of Wednesday and Thursday night too. Next week I will be mostly in London. And I'm very excited! There are lots of reasons and over the next few posts, I'll tell you why! BETT is really a huge trade show with people wanting you to buy their products to use in your educational setting. This year, educators are taking over stands for half hour slots to share what they've done in their classrooms with free stuff. When I say 'takeover', the stand owners - including Scholastic, BrainPopUK, Adobe and NetIntelligence - have donated time so it's not an aggressive thing, and that's great as our ideas have probably got nothing to do with what their stand is showcasing. 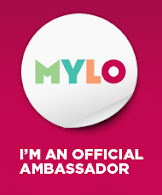 I've volunteered to speak at 10.30 on Friday on the Rising Stars stand on 'Ideas for tools in language learning including Voki, Wallwisher, Voicethread, Storybird'. I'll try to remember to record it - it's about time for another episode of Lisibo talks! Andrea from Rising Stars sounds lovely and has promised me a strong coffee before hand. Might need one afterwards too! Here's a link to the whole programme. If you're at BETT, why not pop along to one or two sessions. There's a goody bag worth £300 for people who participate and fill in some ideas they've gained from the experience so it's worth it! So that's reason one why I'm excited about BETT. eTwinning in the primary language classroom - why is it so great? Following on from my previous post about rediscovering Seesmic, another friend, John Warwick, asked me to share a little bit about eTwinning in the primary language classroom for an eTwinning presentation he was preparing. I decided to record him my answer as it's easier to explain in person and I also thought it might be useful too! So here it is! If you want to find out more, see my Slideshare and post here. A while back - actually nearly two years ago - I became aware of a tool called Seesmic on which you could record video clips and others could respond by recording their own short clip. At the time, I used it to join in a few conversations and also to practice speaking Catalan / Mallorquin after a looong break. It was easy to do and fun as well. 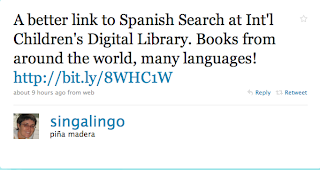 I was asked last week by Chris Fuller to make a short video sharing my thoughts on using Twitter in the languages classroom and why it's such a good idea in my opinion for a presentation he's doing soon. As I was home alone, I had to do it in a way that didn't involve another person filming me, and my hand is unsteady at the best of times! I had never used the film option on Photobooth, and I was also concerned about delivering it to Chris via email in case the file was too large. I had picked up a tweet at about the same time from Leon Cych asking for volunteers to be involved in a project this year called Remixing Education, and one of his methods of 'recruiting' was via Seesmic. So, having been reminded of the existence of this site, and having recorded a response for Leon, I decided to use it to record my clip for Chris. It's very easy! Once you've signed up for an account, you press Create a video and start talking into your webcam (iSight camera in my case). Once you've finished you can review the recording and start again if you're not happy. It's then posted on the site - you can choose whether to allow it to appear on the public timeline or just to keep it on your page. Once finished, I sent the URL and embed code off to Chris so that he could use the clip as he wished, editing it etc to his purposes. I thought that would be that, but the ever eagle eyed king of RSS feeds, Joe Dale, picked up the clip on his radar and, having ascertained why I'd posted a clip to some mysterious 'Chris', blogged it! And then I was astonished to receive a lovely response from a lady in Anaheim, USA who had seen the clip and wanted to tell me how good it was! A wonderful surprise and so exciting for someone unrelated to my life - real and virtual (Twitter, my blog etc) - to make such comments about my thoughts and 'work'. 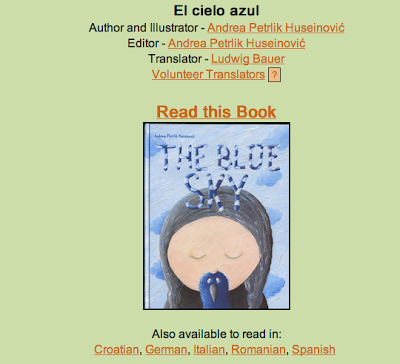 By clicking on the top you can choose the language of the book - so you can read the story in English to make sure you know what it's about and then read in another language with understanding already in place, allowing you to focus on vocabulary and structures. simplification, but with 'pupils accessing authentic texts' one of the Framework objectives, these are a great resource. And why not use the fact that many of the books are available in a variety of languages to compare and contrast languages. Are there similar words on the pages? Can you 'recognise' any words? How would you recognise a verb? A noun? 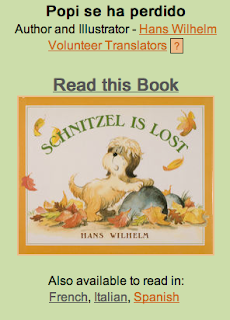 This book features a dog that is called Schnitzel in Italian and English, Pompom in French and Popi in Spanish. why might that be? Found this via the LiverpoolFC Twitter feed! And given my love of Spain, music and, most of all, Nando, I just had to share it with you. Just one thing - that girl is MAD! Wondering if any of you would like to add to a debate I'm having at the moment re QCA schemes for KS2. I'm trying to help someone choose the best way to present materials on a site to satisfy as many Primary MFL teachers as possible. Having drawn their attention to the KS2 Framework and the QCA units and their thematic and skills rather than topic based approach, they're now in a quandary as to how to best present things. They've just been updated - how long do you think their shelf life will be? And, here's a tricky one! - do you think if we get a change of government that the policy and therefore Framework / SoW will get changed again? Any insights more than welcome. You can leave comments or contact me privately if you'd rather! As we're all taking down our Christmas decorations and enjoying the snow, (well, we are here having been granted a snow day!) in Spain and Mexico, children have been receiving their presents this morning, left for them by Los Reyes Magos. Here is a video of last year's celebrations in Madrid. Enlightening and well worth using in class to show children what happens. Here's the start of an animated film from Mexico about Los Reyes Magos. I've set myself a challenge for 2010. I love trees and find them beautiful and intriguing. Looking at trees makes me feel calm and secure. And recently I've been taking lots of photographs of trees. So - my challenge - to take a photo of a tree every day for a year. I'll be publishing them on Flickr in my set Trees365 but I've also started a new blog called Trees365 on which I will publish them with, I hope, a slightly longer comment. I'd love your comments and advice! Happy New Year to all readers of ¡Vámonos! I'll leave it to ABBA to say it in Spanish!